Chase to the bar on the fourth day of the first test between England vs South Africa. Leicester City fans entertained at the cricket with a mock, fancy dress fox hunt close to Lord’s Cricket Ground, the venue for the first test of South Africa’s tour of England. 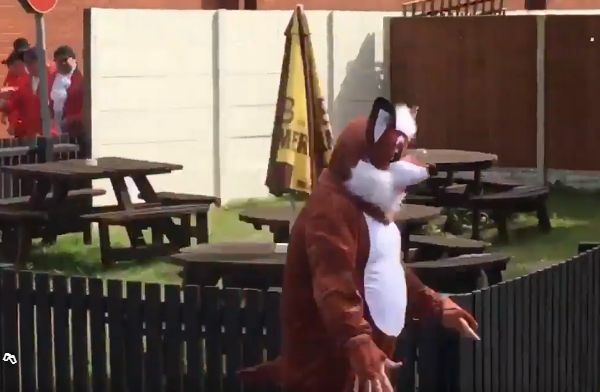 In the sun on Sunday, the fourth and final day, numerous costumed supporters chased someone dressed as a fox, all the way to the bar.